Dr. Namgyal L. Kyulo is a Contributing Faculty Member of the Walden University in the College of Health Sciences, Ph.D. Public Health Research program. 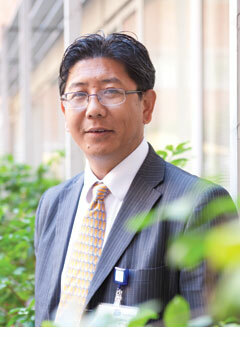 He joined Walden University Faculty since December 2013. Dr. Kyulo received his Medical Degree, MBBS, from Delhi University (India) in 1996 and DrPH in Epidemiology from Loma Linda University in 2012. He was Fulbright scholarship recipient and he has taught biostatistics and epidemiology courses to undergraduate and graduate level students at the Loma Linda University. Dr. Kyulo has worked as a Senior Research Associate at the University of California Irvine, focusing primarily on Clinical Trials and epidemiology research. He has also mentored medical students on their research projects at the Loma Linda University, University of California Irvine (UCI), and at the University of California Los Angeles (UCLA). Dr. Kyulo has a number of publications and presentations on epidemiology research on obesity and liver diseases. Kyulo NL, Knutsen SF, Fraser GE, Singh PN., ., Kyulo, N. L. (2012). Effect of Weight Loss in Adults on Estimation of Risk Due to Adiposity in a Cohort Study. Obesity. Kyulo NL, Knutsen SF, Fraser GE, Tonstad S, Singh PN., ., Kyulo, N. L. (2012). Validation of Recall of Body Weight over a 26 Year Period in Cohort Members of Adventist Health Study 2. Annals of Epidemiology. Lim, N., Kyulo, N. L. (2004). Clinical Significance of Elevated Alpha Fetoprotein (AFP) in Patients with chronic Hepatitis C, but Not Hepatocellular Carcinoma. American Journal of Gastroenterology.